Mr. Pradhan was born and raised in Nepal. He moved to the United States to pursue higher education. Mr. Pradhan graduated with his Bachelors degree in computer science from Southern Illinois University Edwardsville (SIUE). Mr. Pradhan completed his Masters degree in Information Systems from Webster University. Mr. Pradhan is a Founding President of the Greater Saint Louis Nepalese Chautari (GSTLNC). He is currently a senior advisor to the GSTLNC. In addition, Mr. Pradhan is actively involved in the community by planning and organizing Nepali activities to raise funds for the victims of the earthquake in Nepal. 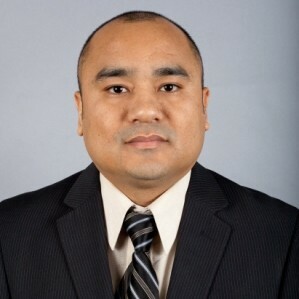 Currently, Mr. Pradhan is a Financial Engineer and Vice President at Citigroup in O’Fallon, Missouri. He manages the interest rate risk modeling and analytics of the company’s $100+ billion mortgage portfolio and daily pricing of new jumbo loan origination pricing for CitiMortgage. He lives in Saint Louis with his lovely wife, Rachana, and his two children, Dravya & Darsh.